For those of you who care about details, this shot was taken at 50mm, ISO 640, f4, 1/20. Contrast, clarity, and vibrance fixed in Lightroom 4. I love the way you captured the light on the blue book. It makes the book look holy. I am so glad these books bring you comfort! I LOVE Jesus Calling! Always, always a powerful word. Hey, don’t worry about it! I totally understand trying to come up with something and having it just NOT work out…good for you for admitting it and moving on:) Maybe we will collaborate on a project in the future! 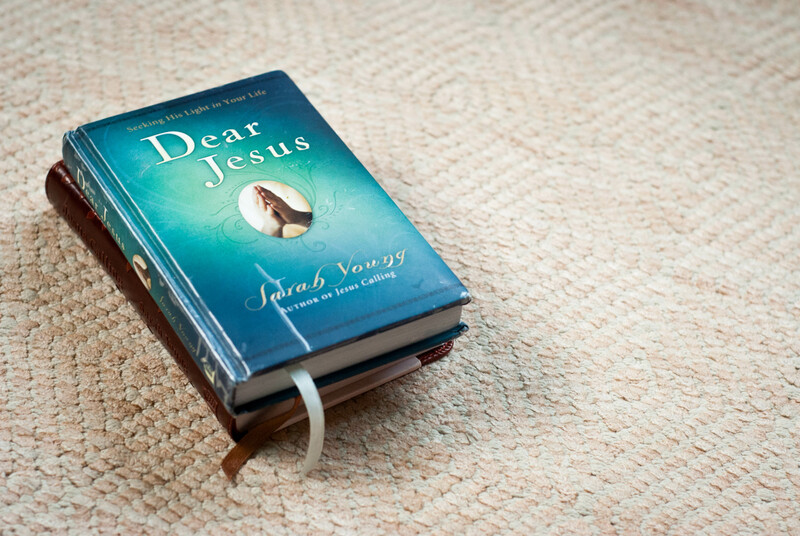 I’m so glad that someone else loves Dear Jesus! !